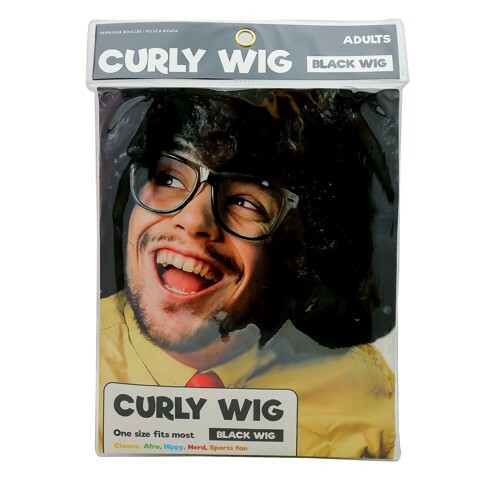 Dress Up Curly Wig Black. One Size Fits Most. Black . Polyester Fibres. 100g Packaging: PVC Bag with Colour Insert.